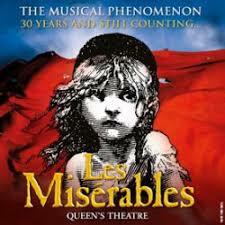 Winner of prestigious 2012 Olivier award, Les Miserables is mesmerizing the audience successfully from several years. 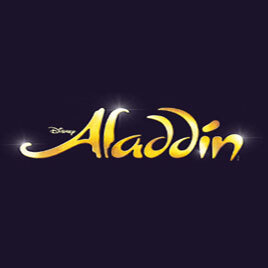 This is one of the longest running musicals across the world and people still love to catch the theatrical production with their family and friends. The talented performances from the cast members make the show a desirable experience for the theatre goers. At the Queen's Theatre, you can enjoy this heart wrenching saga of Jean Valjean and the ruthless policeman Javert. The show, Les Miserables is set on the backdrop of nineteenth century France, where the lead protagonist Jean Valjean who is a convict has been released after nineteen years. He is desperate to get some shelter and find some solace in Bishop. More than 65 million people have enjoyed the show all across 42 countries and 22 languages and creating new box office records. The heart touching musical Les Miserables has marked an entry into its 28th year. The gripping saga is all about love, passion, sacrifice and redemption. Some of the popular musical numbers of Les Miserables are “I Dreamed A Dream”, “Bring Him Home”, “One Day More” and “On My Own” makes the show a delightful experience for the theatre lovers. The show is the winner of 100 international awards and won several massive and critical acclamations. The magic of Les Miserables is simply inescapable and woos the audience again and again to the theatres. The mesmerizing London musical can be enjoyed at fullest at queen's theatre! Make this weekend an enjoyable experience with your loved ones with Les Miserables Theatre Tickets! We offer safe and secure booking with seat allocation made before the payment done. All booking will be done from the official STAR agent Websites. So, get your tickets now and have a memorable experience! I can not wait to see this film, it's not realised here until Friday. I have no idea what is going on with Sam Barkes waist, but it isn't ullusay that small, they have either made her lose a lot of weight or they have done some sort of editing (I saw her on stage not that long ago), I'm going to have to try and not get distracted by the waist now you've pointed it out, she is the person I can not wait to see in the film, she was an amazing Eponine on stage. Les Miserables is one of the most popular London musicals with most of the sold out evening performances. The musical is one of the most loved shows and set against the backdrop of French Revolution. At that time courage and love are at highest priority. The show is set in the 19th century and revolves around Jean Valjean a prisoner and a thief. He wants to build his new life again and get back his respect. With excellent performances and superb designing by Stephen Brimson Lewis, Les Miserables is a brilliant play to go out for. Michael McCarthy as Javert is outstanding with his strong voice and amazing performance. Les Miserables is an incredible emotional roller coaster ride with some of the heart touching musical numbers. Les Miserables musical is amazing. I had seen the movie and then went to see it in the theater. I just loved it. Excellent set designs, nice performances, music to remember after show. I would definitely suggest it for a West End night out! Great theatre. Amazing performance...the best Jean Valjean of all time. Great seats, and amazing experience for our daughter. My 9 YO son even enjoyed it! Les Miserable was incredible. It is such a classic show and lived up to expectations. As a huge fan of musical theatre I had always been ashamed that I had never seen Les Miserables in London and it did not disappoint. The set was amazing (especially the barricade) and it had a turning floor which was used for scene changes, which I thought was a really creative and innovative idea and it worked really well. Every single cast member (including understudies) were so talented and the singing especially blew me away. The whole house was in tears at the last note of Do You Hear the People Sing at the end of the show. A well deserved standing ovation. Well done to the casting director. I would recommend this show to anyone who has even the slightest love if musical theatre. There were a few children in the audience who I believed were really impacted by this show. The show is almost 3 hours long so if you planned in bringing children take that into account. 5* show!!! I love this show and this was my fourth time The sound quality is now really crisp and for the first time i heard every word with clarity We had two of the stand ins as it was a matinee, playing Jean Valjean and Eponinne and they were both simply superb. Experience the real magic of award winning London show Les Miserables at the Queen’s Theatre! For an enjoyable time, booking exciting meal deal packages which are available for both pre and post show. Thus, you can choose in accordance with your necessity. These packages will make your show more enjoyable as they are available at great discounted rates at nearby retsurants. The sensational brand new restaurant in Piccadilly is hugely popular amongst the visitors with black, white and chrome cocktail bar. The restaurant specializes in affordable and authentic British delicacies. Some of the major highlights are luxe tiger beer-battered fish and chunky chips with fresh tartare and mushy peas served in paper. The hugely visited restaurant is located at a distance of 198 meters and caters authentic British cuisine. Some of the famous delicacies offered are favourites such as BBQ half rib racks and traditional beef burgers as well as fajitas and vegetable curries. Enjoy some lip smacking modern European delicacies at Leon de Bruxelles! The restaurant is located at a distance of 313 meters. Some of the popular delicacies offered are Mariniere Mussels - In a sauce of white wine with parsley & shallots, with fries, Fish & Chips- served with chips, mushy peas & tatar sauce Risotto of the day (V) and many more. For Thai food lovers, this is an ultimate destination! Some of the famous delicacies offered are pan-fried dishes, curries and reliable noodle dishes such as pad Thai and a gang mussamun (with potatoes and peanuts. The neo-Georgian Grade II listed building designed by Lutyens is positioned in the Bloomsbury. The accessible location of the magnificent hotel makes its one of the most preferred hotels which is located near some of the famous tourist destinations such as British Museum, Oxford Street, Covent Garden etc. The timeless hotel is undoubtedly one of the finest topmost hotels of London city and assures world class services and best modern amenities. With luxurious rooms, the hotel boasts some of the finest drinks and food at the Landseer Bar & Restaurant. The stunning 4 star luxury hotel is located in the picturesque Kensington with townhouse style, rich and traditional décor. 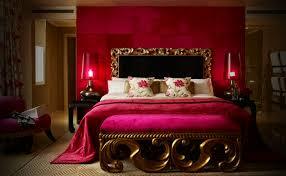 The magnificent deluxe hotel is located at an accessible location from the London Theatre. The contemporary Marykebone hotel has been recently refurbished and is a complete haven of world class comforts and luxury. The hotel is located at a walking distance from the top most shopping venues of London, Theatreland, Madame Tussads, Speaker’s corner and Wigmore Hall. For shopaholics, the great place is an ultimate destination for designer wear fashions and many more. Enjoy some of the lip smacking delicacies at the 08 Marylebone Lane Restaurant and Bar renowned for offering delicious, contemporary European fare. The stunning hotel is located at an accessible location from the London Theatre and offer world class facilities and brilliant services. The luxury hotel is one of the most famous hotels for luxury seekers, as you would be able to spend some quality time with your loved ones.